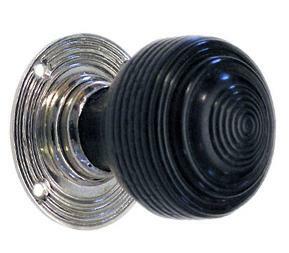 A carefully turned and finished ebonised door knob that was popular in Edwardian houses. Suitable for mortice or rimlock doors with a nickel backplate. Part of our ebonised door furniture collection.